It’s that time of year again – fans and followers of the Eurovision Song Contest are invited to vote for their favourites from the 63 years of Song Contest history! Over these next two weeks until December 3, you’ll have the opportunity to vote for your favourite songs. 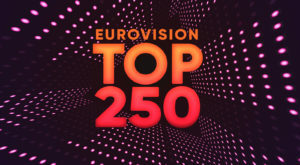 The countdown of your favourite songs, the ‘Eurovision Top 250’, will be broadcast here on ESC Radio on the last day of the year, December 31. And the three winners are: Agata Dąbrowski (Poland), Alexander Sánchez (Spain) and Torsten Schubert (Germany), congratulations! Better luck next time for those who did not win, a new competition soon to come. In the 51 years of Austrian Song Contest participation, several artists participated twice. There’s one artist however, who represented the country on three occasions. Send your answer with the artist’s name to competition@escradio.com along with your full name and postal address by Tuesday 31 July at 23:59 CEST. And don’t forget to mention which colour of our funglasses you would like, blue or red. The names of the three lucky winners will be revealed here on our website. Good luck! He was one of the biggest sensations in this year’s Eurovision Song Contest in Lisbon, Portugal – 22-year-old Mikolas Josef from the Czech Republic. With his song Lie To Me he finished sixth on the big night, making it the country’s best placing in the contest to date. 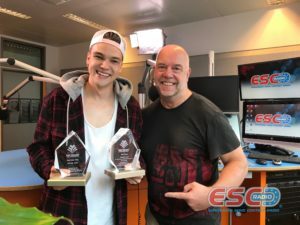 In the ESC Radio Awards voting, held in early June, the worldwide listeners, fans and followers of Eurovision voted Mikolas on top in two categories, ‘Best Song‘ and ‘Best Male Artist‘. 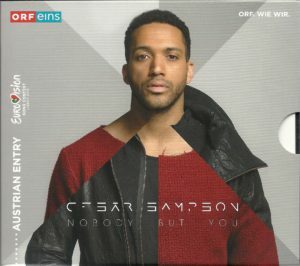 It was the eighth time that an entry that did not win the televised Contest takes a double victory in the ESC Radio Awards. 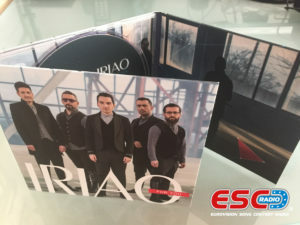 Time to reveal the names of the winners in our competition for the three promo DVD-r of Iriao’s 2018 Eurovision entry For You + ESC Radio funglasses. We asked you to name us the country’s entry that was sung mostly in English but had some Georgian parts in the lyrics. The correct answer is I’m A Joker, performed by Anri Jokhadze in the 2012 contest. And these are the names of the lucky three: Anna Gudrun Aradottir (Iceland), Georgiana Gherasin (France), and Erick Cano (Mexico). Congratulations! The DVD-r + funglasses will be sent out the next days. This year was the first time for Georgia to enter a song performed entirely in Georgian language. However, since the country’s debut in 2007, there was one entry with a Georgian part in the song lyrics. Name us the song title, artist and year, and send in your answer to competition@escradio.com along with your full name and postal address by next Wednesday 18 July at 23:59 CEST. And don’t forget to mention which colour of our funglasses you would like, blue or red. The names of the three lucky winners will be revealed here on our website. Good luck!